"PREPOSSESSED OF THE OPINION...THAT EUROPEANS ARE FOND OF THEIR FLESH"
John Barbot, an agent for the French Royal African Company, made at least two voyages to the West Coast of Africa, in 1678 and 1682. Abundance of little Blacks of both sexes are also stolen away by their neighbours, when found abroad on the roads, or in the woods; or else in the Cougans, or corn- fields, at the time of the year, when their parents keep them there all day, to scare away the devouring small birds, that come to feed on the millet, in swarms, as has been said above. In times of dearth and famine, abundance of those people will sell themselves, for a maintenance, and to prevent starving. When I first arriv'd at Goerree, in December, 1681, I could have bought a great number, at very easy rates, if I could have found provisions to subsist them; so great was the dearth then, in that part of Nigritia. The trade of slaves is in a more peculiar manner the business of kings, rich men, and prime merchants, exclusive of the inferior sort of Blacks. These slaves are severely and barbarously treated by their masters, who subsist them poorly, and beat them inhumanly, as may be seen by the scabs and wounds on the bodies of many of them when sold to us. They scarce allow them the least rag to cover their nakedness, which they also take off from them when sold to Europeans; and they always go bare- headed. The wives and children of slaves, are also slaves to the master under whom they are married; and when dead, they never bury them, but cast out the bodies into some by place, to be devoured by birds, or beasts of prey. As the slaves come down to Fida from the inland country, they are put into a booth, or prison, built for that purpose, near the beach, all of them together; and when the Europeans are to receive them, every part of every one of them, to the smallest member, men and women being all stark naked. Such as are allowed good and sound, are set on one side, and the others by themselves; which slaves so rejected are there called Mackrons, being above thirty five years of age, or defective in their limbs, eyes or teeth; or grown grey, or that have the venereal disease, or any other imperfection. These being set aside, each of the others, which have passed as good, is marked on the breast, with a red- hot iron, imprinting the mark of the French, English, or Dutch companies, that so each nation may distinguish their own, and to prevent their being chang'd by the natives for worse, as they are apt enough to do. In this particular, care is taken that the women, as tenderest, be not burnt too hard. One thing is to be taken notice of by sea- faring men, that this Fida and Ardra slaves are of all the others, the most apt to revolt aboard ships, by a conspiracy carried on amongst themselves; especially such as are brought down to Fida, from very remote inland countries, who easily draw others into their plot: for being used to see mens flesh eaten in their own country, and publick markets held for the purpose, they are very full of the notion, that we buy and transport them to the same purpose; and will therefore watch all opportunities to deliver themselves, by assaulting a ship's crew, and murdering them all, if possible: whereof, we have almost every year some instances, in one European ship or other, that is filled with slaves. 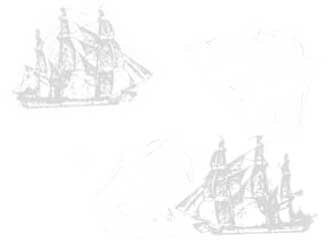 Source: John Barbot, "A Description of the Coasts of North and South Guinea," in Thomas Astley and John Churchill, eds., Collection of Voyages and Travels (London, 1732).